The club officially opened in 1992 and was originally part of Stocks Country Club. 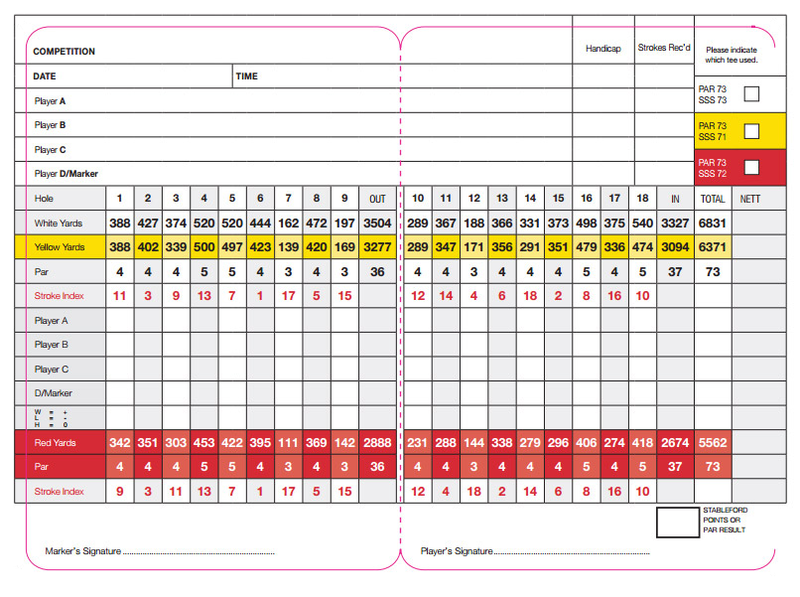 The Course was re-designed in 2012 to become an 18 hole championship course, par 73 over 6800 yards in length. Click here to read a description and watch a virtual tour of each hole. 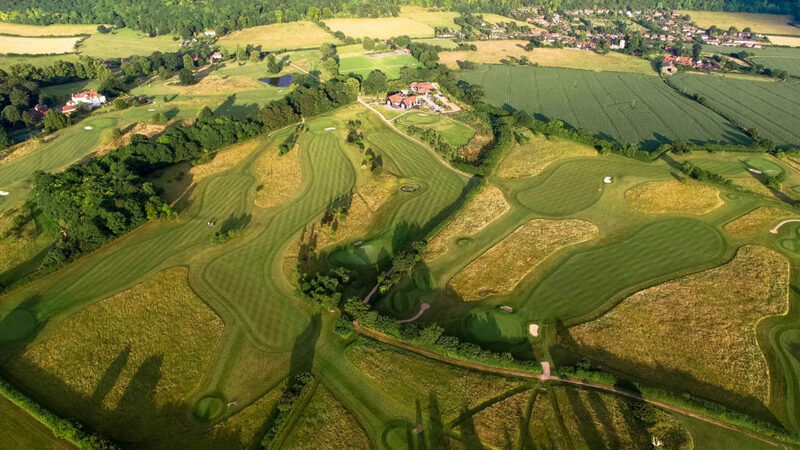 Stocks is a chalk downland course that drains exceedingly well and is playable in all conditions except snow and temporary tees and greens are unknown at the course. Its main defence is the grass rough which can be impenetrable but is host to a myriad of indigenous wild flowers and ground-nesting birds, especially larks – a notable feature of the course. The rough is well managed with an extra cut to prevent errant balls running into the very deep hazard and the bunkers have all been re-built to the highest possible specifications. There are only three water hazards on the course, the lake visible on the right of the drive in, a small pond in front of the 12th green and another small pond hidden behind the ridge on the first fairway. A feature of the course is that there are nine greens which are sufficiently raised so that the bottom of the flag is not visible when hitting approach shots and since the greens are of generous dimensions it is advisable to take a pin position note from the bar before playing. The club provides practice facilities of nets, and a putting and chipping area with bunker. Buggies and trollies are available for hire. Various tee times available throughout the season. Please contact the office, 01442 852000, or email: generalmanager@stocksgolfclub.co.uk to arrange a tee off time.